The first flashpoint in the ensuing Epic vs. Steam story. Who could have predicted that announcing Metro Exodus exclusively for the Epic Games Store would cause such a commotion? But a commotion is just what developers 4A Games caused after angry Steam users rallied against the developer after the announcement. It's come to a point where several parties involved with Metro Exodus are now firmly in damage control mode. Last week, 4A Games announced that Metro Exodus will be exclusive to the Epic Games Store, as far as the PC release of the title is concerned. The developer cited Epic Games Store's more generous revenue share model, and to pass along those savings to the customer announced that Metro Exodus would be available starting at $49.99 on the Epic Games Store. This was a surprise decision by 4A Games for sure, but Metro Exodus wasn't the first major game to announce it was switching over to the Epic Games Store as an exclusive. Earlier in January, Ubisoft made a similar decision with The Division 2. 4A Games also announced that pre-orders made through Steam would be honored and that content will be released on both platforms at the same time. But gamers reacted to Metro Exodus' move more aggressively than when Ubisoft made the switch to Epic Games Store. 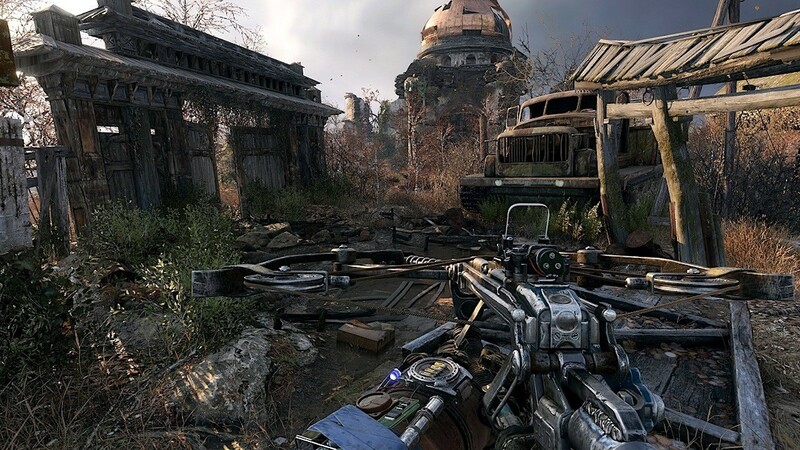 Players began review bombing the first two Metro games on Steam and threatened to boycott or illegally download Metro Exodus. Steam also added more fuel to the fire by publishing an update on its Metro Exodus webpage calling the sudden exclusivity "unfair" to customers. It came to the point where THQ Nordic GmbH issued a statement that seemed to shift the blame to Deep Silver and its owner Koch Media (all three are owned by parent company THQ Nordic AB). "The decision to publish Metro Exodus as a timed Epic Store exclusive was made entirely on Koch media's side as Metro is their intellectual property," THQ Nordic said in a tweet. "We do not want to categorically exclude the possibility of timed exclusives for any of our games in the future, but speaking in the here and now, we definitely want to have the players choose the platform of their liking and make our portfolio available to as many outlets as possible." THQ Nordic AB co-founder Lars Wingefors later backed off from THQ Nordic GmbH's tweets, saying he, "fully support[s] our sub-groups' autonomy to run their respective businesses," and that he "firmly believe[s] that Deep Silver and Koch Media have carefully considered the advantages and disadvantages, opportunities and risks in their decision to go solely with Epic Games Store. The decision has my full support." Metro Exodus' move to Epic Games Store has already proven to be more contentious than Ubisoft's announcement with The Division 2. Perhaps this is because Epic Games Store exclusivity is only now being recognized as a serious trend. It could also potentially be because of some of the comments made by the involved parties in the aftermath of the announcement. And even without the confusing back-and-forth between the parent company and subdivisions that make up THQ Nordic, an anonymous staff member at 4A Games further enflamed the community. In a post on the Russian game site Gameru.net under the username "scynet;" the staffer vented grievances against the community who threatened 4A Games by saying they were planning to boycott Metro Exodus or illegally pirate it. The staffer called the threats and review bombing "hardly adequate" (via Google Translate) and that it seemed to them that "people did not want to play [Metro Exodus], [and] just waited for a reason to pour out their bile." They called the response "hard and painful," and suggested that "if at all the PC players announce a boycott of... [Metro Exodus], then the next Metro...is definitely not on the PC." The post was not well-received on Reddit or Steam, to say the least, and threads dedicated to the 4A staffer are locked on both websites. The episode also prompted a second statement from Deep Silver trying to mitigate the damage from the latest episode. Deep Silver and Koch Media said the decision to move Metro Exodus to the Epic Games Store was theirs alone and not 4A Games. The ire hasn't subsided. A glance at the Metro Exodus forums on Steam shows ongoing debates around the decision to move Metro Exodus to the Epic Game Store. Yesterday, with a little over a week until Metro Exodus launches, Metro author Dmitry Glukhovsky took to Instagram to apologize to players who felt slighted by the switch in digital retailers. "I'm very sorry about those of you who wanted and expected it to release on Steam, and were misled by the move by the publishers." But Glukhovsky also says he respects the publisher's decision and hopes players do not "betray" the developers, "just as we will always stay faithful to you." When Epic Games announced it was launching its own digital storefront, many analysts predicted the inevitable collision with Valve and Steam. The Metro Exodus launch highlights just how messy it could be as the once static online PC market adapts to fit what looks like a true Steam rival. And while Metro Exodus might have just been doing what made sense as a business, it has unfortunately become the first major flashpoint at the start of the Epic vs. Steam era. Tagged with 4A Games,	Action,	Deep Silver,	Epic Games,	Epic Games Store,	FPS,	News,	PC,	Shooters,	THQ Nordic.